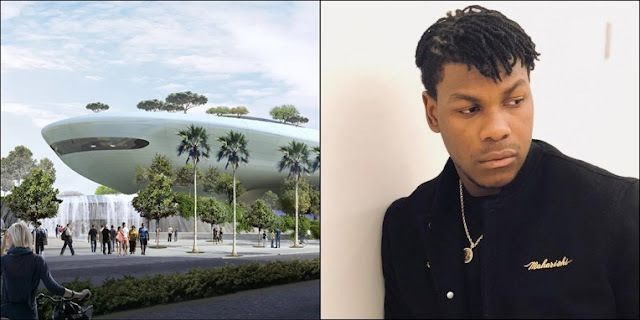 #ThingsYouMissed: Lucas Museum Update, Episode IX Hair & More! This kid's reaction to The Last Jedi will remind you what Star Wars is all about. The Lucas Museum Of Narrative Art is now (literally) going up on Los Angeles. Vanity Fair also goes in-depth exploring George Lucas' struggle to build his museum. This incredible tattoo celebrates the life of Luke Skywalker, from Episodes IV to VIII. This slideshow shows how artist Darren Tan created the amazing Padmé Amidala poster art for Thrawn: Alliances. John Boyega is growing his hair out and Mark Hamill shaved his beard... What could this mean for Episode IX?! Younglings, take note: The Last Jedi is getting the "Little Golden Book" treatment. Sam Witwer finally opens up about being the voice behind Solo's most surprising cameo. ILM's lead modeler Masa Narita discusses the process remodeling the Millennium Falcon for Solo. Matthew Wood discusses how he created the voice of General Grievous in an interview with Latino Review. Cnet drops some details on the SDCC exclusive Forces Of Destiny Chewie & Porgs set from Hasbro. Lucasfilm has announced a new droid-centric book titled Star Wars: Droidography. Eurogamer looks back at Knights Of The Old Republic on the 15th anniversary of its release. Speech IRL takes a look at DJ's stutter in The Last Jedi and why it's important. Jon Kasdan finally confirms that "Two Tubes" from Rogue One is indeed in Solo. I'm not ashamed to admit; I wish this was a real Lego set. Start saving your credits: Hot Toys is about to drop a Force-projection Luke Skywalker figure! Pablo Hidalgo discusses translating Old Republic stories into (potential) Star Wars films & more in this interview from FanQuest 2018.